(2) THE CONTRACTOR: You, Your. 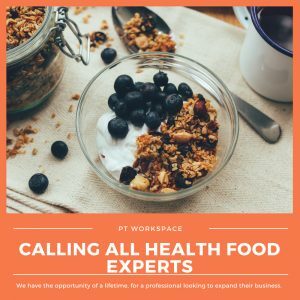 Please note freelance PTs are not employees of the ‘PT Workspace’ but are self-employed, independent, freelance trainers. Clients acknowledge that in engaging an Freelance PT they are entering into a contract with him / her alone and not with the ‘PT Workspace’ or any of its subsidiary companies, and that any claim they may have to recover any fees paid in advance will be solely against the trainer to whom payment was made. Payments to trainers must be made directly to the trainer and not through the studio. Clients can pay trainers direct by cash/debit card or cheque. Clients should ensure they get a receipt from their trainer as PT Workspace will not have a record of these transactions. Freelance PTs operate on a pre-pay basis and all sessions must be paid for in advance. Bookings will not be confirmed until payment has been received via the PT Workspace booking App. Once the Trainer and client have agreed upon the most appropriate training programme / package, payment must be made before the sessions are conducted. Failure to make a payment will result in sessions being forfeit. Clients must contact their Trainer directly by phone to cancel or change booked sessions (even a free consultation). Cancellations made with less than 24 hours’ notice will incur full charge. Cancellations for packages will mean loss of payment and sessions, no refund is available once package is purchased. All sessions will last 1 hour unless otherwise stated and will start and finish on time. Trainers may not be able to provide a full hour if clients are late to a session. However, if the Trainer is late for a session, clients will still receive the full session time or have the outstanding time added to another session. The results of any training programme or coaching course cannot be guaranteed and progress depends on the client’s effort and cooperation in and outside of the sessions. Individual results may vary and no particular result is guaranteed by either the Trainer or the studio. Only one client is permitted within each PT sessions unless a PT Duo Package is purchased via the booking app. No Access is permitted to anyone without a key fob to PT Workspace studio or facilities. 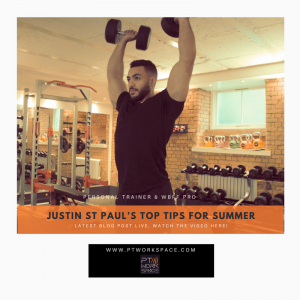 You must have permission via the studio manager to train yourself within PT Workspace. Prior notice must be given in advance. Consultations must be organised with the studio manger, consultations includes use of seating areas only. Use of the gym space will require package and normal booking procedures. Cancellations require 24 hours’ notice minimum or forfeit of session and payment. You have requested and we have agreed to your use of the Facilities for the provision of Personal Training Services under the terms of this Agreement. This Agreement revokes and replaces any prior written, verbal or implied agreement or arrangement (if any) between you and us. In this Agreement the following terms have the meanings set out below. PT Workspace is not responsible for providing programming and/or coaching to the Contractor. 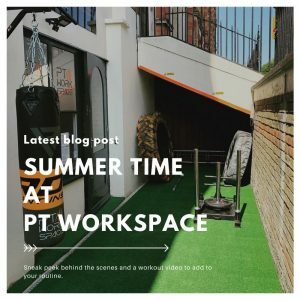 PT Workspace cannot guarantee that any and all the equipment will be available. Every attempt will be made to ensure that equipment is serviceable and in full and good working order. In the event of an issue arising due to access to equipment the Contractor will in the first instance discuss the issue with the Facility Manager. This Agreement shall be for the duration of the Term (or Renewal Term, if applicable). PT Workspace is under no obligation to renew or extend the Term of this Agreement. This Agreement does not entitle the Contractor or their clients access to programming, courses, classes or other sessions held and or run by PT Workspace . PT Workspace holds the right to amend its policies and/or Standard Operating Procedures without prior agreement with the Contractor. Any changes will be passed onto the Contractor within one month of the amendment. Ensure you follow our policies and procedures as notified to you from time to time. You warrant that you have the expertise necessary to perform the Personal Training Services. In carrying out your obligations under this Agreement you agree to comply with all applicable laws including but not limited to privacy laws, health and safety laws, anti-discrimination laws, competition and consumer protection laws and tax laws. The Contractor Fee shall be paid to PT Workspace via the Booking App. Provide PT Workspace with evidence of appropriate qualifications, First Aid certificates and insurances. This evidence must be maintained and kept up to date. 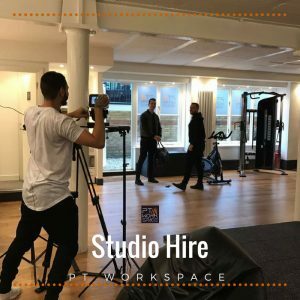 Ensure that their clients are able and healthy enough to undertake the activity for which they are to participate in while using the Facilities. Return the Facilities to the condition in which they were found following each use. This includes the collection and disposal of litter. The Facilities are to be left in a clean and tidy condition and securely locked (if appropriate). General Conditions The Facilities are to be used by the Contractor as detailed in this agreement. Equipment: Such equipment as agreed with the Contractor will be provided by PT Workspace in good working order. Equipment brought onto site by the Contractor must meet all appropriate standards and be used in accordance with health and safety regulations. It is the responsibility of the Contractor to ensure that equipment they have brought onto site and use is in good working order and risk assessments have been completed. PT Workspace can inspect equipment at any time. Security: PT Workspace reserves the right to request references and conduct Criminal Record Checks on any and all members of visiting parties, at our cost. Contractors will be asked for authorisations prior to checks being conducted in relation to their Client(s). Contractors are expected to remain vigilant to security and 3/7 question people who are not their Clients and who are lingering in and around the Facilities. Concerns must be raised with the Facility Manager. Health and Safety: The Contractor will be briefed on PT Workspace Standard Operation Procedures, who will impart this information to any persons for whom the Contractor is responsible as appropriate prior to commencing use of the Facilities. First Aid Provision: All incidents where First Aid is administered must be recorded and reported to the Facility Manager. Smoking and Alcohol: Prohibited in and around the Facilities. Food and Drink: Food can only be consumed in the Reception Area. Cold drinks can be taken into the Gym Floor in appropriate plastic vessels however any spillage will result in the immediate suspension of an activity, until cleared. Parking: All vehicles must be parked in the designated parking area. PT Workspace reserves the right to on occasion instruct Contractors and their Clients to park ‘off-site’. PT Workspace accepts no liability for the loss or damage to any vehicles or its contents. Conduct & Behaviour: PT Workspace reserves the right to remove and/or exclude from the site any person or persons whose behaviour is considered by the Facility Manager to be inappropriate, dangerous or offensive. Accident and Incident Reporting: PT Workspace must be informed of all accidents or incidents no matter how minor as identified in the Standard Operating Procedures. Clothing/Footwear: Appropriate clothing and clean footwear must be worn for each surface and activity. PT Workspace accepts no responsibility for items left unattended throughout the Facility. Are responsible to supervise their clients while in the Facilities, ensuring that clients use the equipment and conduct themselves in a safe and courteous manner. The Contractor does not have exclusive rights of access and will be required to share the Facilities with PT Workspace and its members. In the event of an issue arising due to access to equipment the Contractor will in the first instance discuss the issue with the Facility Manager. Formal complaints will be addressed to the Facility Manager, who will review the problem and advise the Contractor of their decision and action to be taken. The decision of the Facility Manager is final. 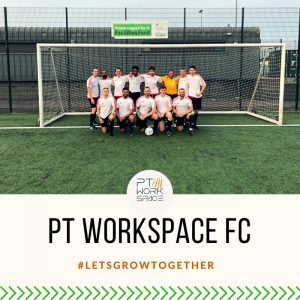 The Contractor will not interfere with the running of classes and courses organised by PT Workspace. No equipment belonging to the Contractor may be stored on the premises. PT Workspace and its directors shall be under no liability in respect of personal injury to or, the death of any person caused by the negligence or recklessness of the Contractor or by any persons for whom the Contractor is responsible. PT Workspace accepts no liability in the event of technical and/or emergency failures in or during events beyond the control of PT Workspace and reserves the right to restrict use of the Facilities in such circumstances. The Contractor will be notified of any restrictions as soon as PT Workspace is aware of such event. Breach of any other terms of this Agreement. Termination of this Agreement for whatever reason shall be without prejudice to any rights or obligations that have accrued or are owing before the termination. [others] Contractor Fees are non-refundable. We are not required to make any contributions to any pension fund in respect of your supply of the Personal Training Services under this Agreement. You also acknowledge that you have no authority to act for or to bind us in any manner whatsoever other than as expressly contemplated by this Agreement. This Agreement may be executed in separate counterparts all of which together evidence the same Agreement. Any notices given under this Agreement must be in writing and delivered to the postal address of the party to whom they are addressed as set out below (or such alternative address notified to the other party in writing). No failure or delay by PT Workspace to exercise any right or remedy provided under this Agreement or by law shall constitute a waiver of that or any other right or remedy. A person who is not a party of this Agreement shall not have any rights under the Contracts (Rights of Third Parties) Act 1999 to enforce any term of this Agreement. If any provision or part provision of this Agreement is invalid or unenforceable, such provision shall be deemed deleted but only to the extent necessary and the remaining provisions of this Agreement shall remain in full force and effect. A waiver by either you or us of any provision of this Agreement does not constitute a waiver of any succeeding breach of the same or any other provision. agree to be bound by these terms of engagement as an independent contractor. Both parties shall duly observe all their obligations under current Data Protection legislation and other national equivalent regulations as specified above which arise in connection with this Agreement.